Answer by our in-house marketing enthusiast Moaaz Nagori – as appeared on Quora. LinkedIn has a lot of functions and solutions – you need to know which solution of LinkedIn’s are you looking for. Alternative for LinkedIn Sales: Cloudlead, LeadGenius, Discoverorg, Zoominfo etc. Alternative for LinkedIn Marketing: Facebook Ads, Google Ads, Quora for business etc. Alternative for LinkedIn Hire: Indeed, Glassdoor, Craiglist, Monster etc. Alternative for LinkedIn Learn: Udemy, EdX, Coursera etc. Alternative for LinkedIn Network: Angelist, Xing, Meetup etc. First, it’s important to know that at this point LinkedIn is no longer just a simple network useful for professionals to connect, hire or get hired. LinkedIn has evolved immensely since that phase. I’m stressing on this point because if we look holistically, LinkedIn has no competitors on a global level. Especially when you consider their commitment towards being a leading global professional networking platform. 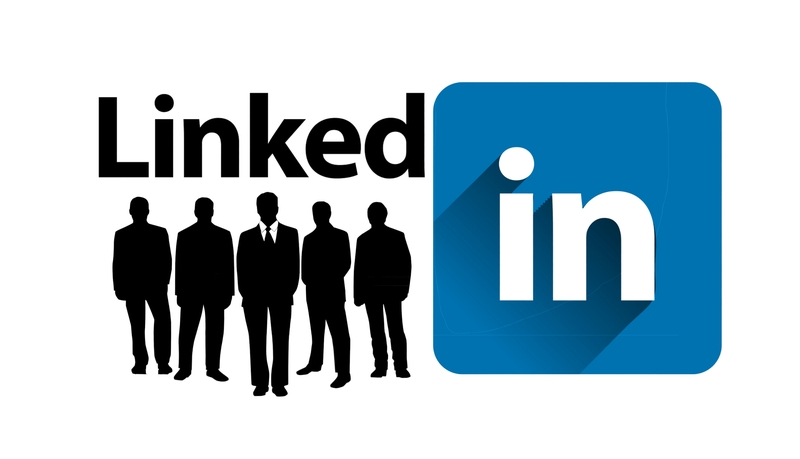 Sell- LinkedIn has a popular lead and account intelligence tool known as Sales Navigator. Sales Navigator, is basically a tool that allows you to search and find leads or accounts based on firmographics, demographics, technographics, job title, keywords and more! Learn-As you may know, LinkedIn provides it’s education services through Lynda. Over here you have an option to choose from a variety of about 12,000 development courses. Now that you know how diversified LinkedIn is in terms of an overall group rather than just a simple product, I’d like to share some sub-competitors LinkedIn has. Combatting a giant like LinkedIn is no easy task mainly because of their immense penetration i.e. 560 million + professionals. Alternative for LinkedIn Sales:You can try Cloudlead. Cloudlead was also recently hailed on Entrepreneur for being a much needed service for perfecting your B2B sales funnel. With Cloudlead you only pay on a per valid lead basis which allows one to get the most of their B2B data. The custom factor plays in where you can provide highly targeted terms based on firmographics, demographics, job title etc.You can be sure that Cloudlead will help you target your ideal customer profile. How Cloudlead competes with LinkedIn Sales Navigator is that it provides validated contact and account information. Sales Navigator is good but it doesn’t disclose business contact details. With Cloudlead you can. Furthermore, you can choose how you want to contact your lead. With Sales Navigator Inmail can be quite expensive and it’s not as effective as it once was. The list can go on and on. However, again, being on subject here I’d say most of these solutions would also be based on what you are looking for. Alternatives For LinkedIn Marketing: I’d suggest you to try out placing highly targeted ads on Quora. This approach is certainly effective. Before jumping to conclusions, I’d suggest you conduct a simple research on on your Niche & audience visibility on Quora. At Cloudlead, we have Zobia Zuberi who uses tools like SEMrush and SpyFu to understand penetration on Quora in terms of number of targeted questions asked. So I’d certainly advise you to do the same. Also, you can create your own blog, host Q/A sessions, encourage people to ask you questions on pain points fitting your target market and more! Alternatives For LinkedIn Hiring: I’ll be honest, I haven’t used any hiring portals as professionally I never needed to. However, I think you can certainly try out Job Search | Indeed they have about 1.6 million + monthly visitors and you can post jobs here. They apparently claim to be the worlds no.1 job site. Furthermore they have options to sponsor your hiring posts which will attract 5X more visitors. Alternatives for LinkedIn Learning: You can try out Udemy. Great course selection i.e. 60,000+ meaning there are definitely niche courses out there that will suit the particular skill set you are looking to learn. I would like to also add here that if you have a particular topic of interest then you can find sites that are super focused towards teaching that. For example Code.org: Anybody can Learn for learning how to code. There are only better options to consider (over LinkedIn) when considering these categories mentioned. Hope my answer provides some insight on how you can classify LinkedIn’s competitors!